Today I wanted to take some time to simply write about some things that you might be seeing on the blog this month and mention a few random thoughts. First off, November is my birthday month! Why does that matter you ask? Well, since it's my birthday month I thought it would be fun to do a crafty giveaway. I don’t know when I will post the giveaway but most likely it will be on my Instagram page before or on November 16th. So, if you haven’t already, follow my Instagram page so you will be the first to know when it goes live. Second, you will be seeing more DIY projects on the blog between now and Christmas. I will try my best to do a balance of Thanksgiving and Christmas projects. However, we will most likely be going more towards Christmas projects within the next two weeks. Third, if you have any requests for projects, holiday gift guides, or reviews, let me know in the comments below. 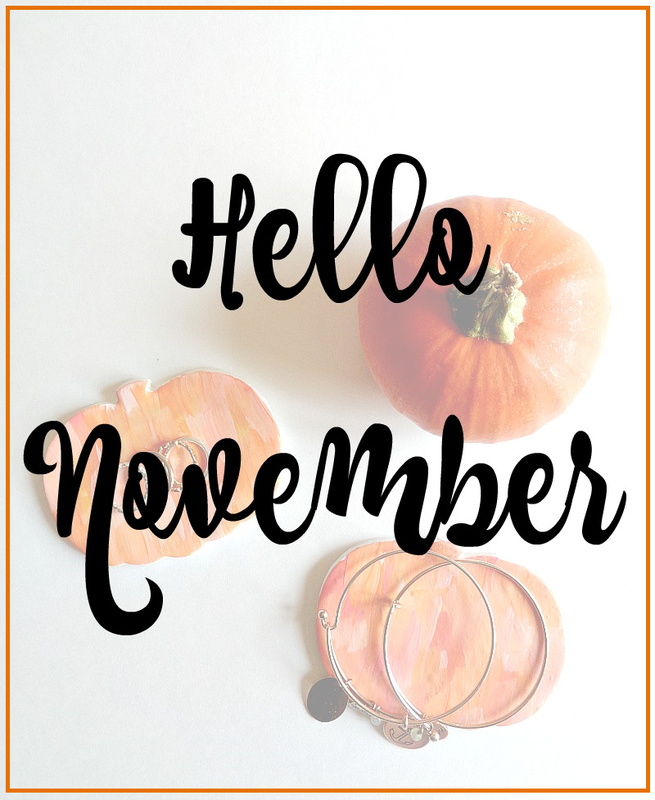 Ok, minus that last point (even though it's very true), you will be seeing a lot more blogging in November (lol). Again, if you have any project requests leave me a comment and I hope November is filled with awesome things, events and good times for you guys!